Everyday we are flooded with Online stories by their very nature that are nothing more than a ruse & search engine spam. What ever happened to honesty, integrity, and trustworthiness? Did these three items get thrown out the Internet door? The Internet is a sea of everything from big blue whales to sharks on the attack, and every now and again a find of a long lost buried treasure with a refreshing story to share with the rest of the world. Honesty, integrity, and trustworthiness take time to establish. Building a relationship build on these three principals is a key strategy to establishing lifelong business relationships. Consumers are quick to remember where good service can be found. Likewise Business-to-business, B2B customer services built with a strong and wide three legged foundation are very sturdy. B2Bs will stand the test of time and can balance without rocking. Honesty should be at the forefront of any strategic relationship. Promising more than what can be delivered will push a company off an approved vendor list faster than you can say "". Integrity in action is a key foundational leg. This is such a simple word but only through the "sands of time" does it prove out. Following through on what is said. If a business continually is caught in lie after lie, or using a form of legalese to cover up underhanded operations, then we can forget about integrity with a company like: "Search Engine Data Merging"
Trustworthiness is the strongest of all. This envelops the whole company in its entirety. It starts at the top and permeates down through the ranks. If the CEO or President is not trustworthy then neither will the company that he or she operates. Many organizations today laugh at this type of business philosophy. In fact, even Wall Street is quick to dismiss these attributes in business. Maybe that is because there is this get rich quick scenario even from the Wall Street Insiders. With such a demand for short term gains by the large Institutions that hold large voting blocks of shares of corporations, is it any wonder that we have thrown out Honesty, Integrity, and Trustworthiness. More companies would do well to incorporate these three Free strategic keys to an Online success. Contact us for a Free Services, Strategies, and Solutions analysis of your business today. Every so often comes a tool that is really cool for marketing, advertising, and branding strategies. Maybe you do not have the bucks to pay a graphic design artist to come up with some headings or logos for your brochures or website. Or maybe you are not willing to invest in an expensive graphic design software program. Even if you buy the program, it can take forever to learn it and all you wanted were some headings or some cool stuff to spice up that sales presentation. Well, now you can do it for free. Check out the program below. Try it out. Type in your company name or products you sale. Experiment with the font type, size, and style. Save your graphic design image on your own local computer. 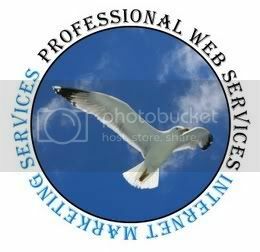 For help with your business branding, Internet marketing, and online advertising contact Professional Web Services, Inc.